Dwarka is one of the most valued religious destinations In India because of the great temple of Lord Krishna. 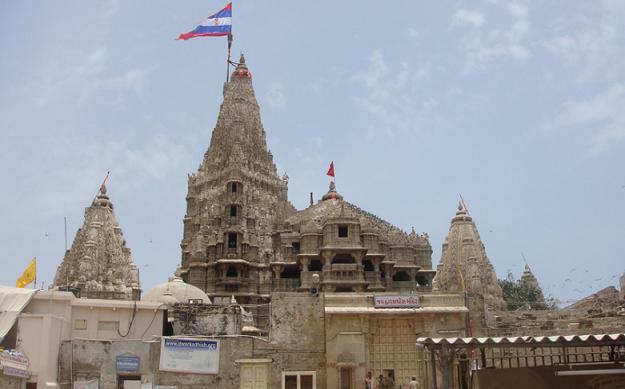 The Dwarkadhish temple also known as the Jaggat Mandir is a popular Hindu temple devoted to Lord Krishna, who is worshipped here by the name of "King of Dwarka' or "Dwarkadhish". The place attracts lots of people from around the world who holds faith in the divine creature. 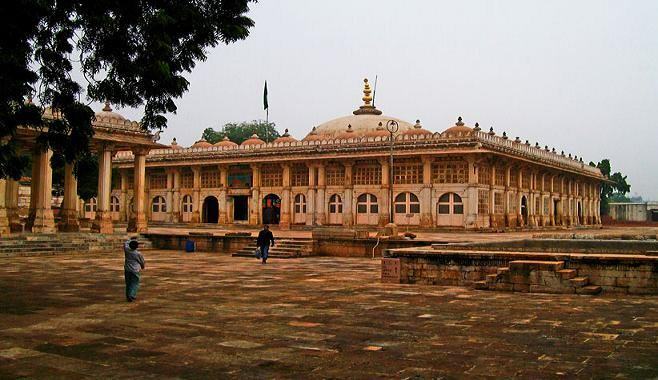 We offer a weekend tour to Dwarka from Ahmedabad. Our Ahmedabad Dwarka Weekend Tour will take you on an incredible journey to attain sanctity and peace. With our weekend tour to Dwarka, you will be visiting the famous Dwarkadish Temple, Bet Dwarka, Nageswar Mahadev temple and the Bala Hanuman Temple where you can listen to the prayers and chants offered to the Lord. So, be a part of our splendid tour and have a great weekend ahead. Dwarka is best known as the home of Lord Krishna and will enchant you with the holiness that the air here carries. Dwar, meaning door in Sanskrit, is believed to be the gateway to heaven. Legend has it that the city was once engulfed by the sea and recent excavations reveal that a city did exist here. Dwarka can offer you the most spiritual and holy bit of Gujarat. The temples here have a culture and significance as rich as the legends, mythology and beliefs that surround them. 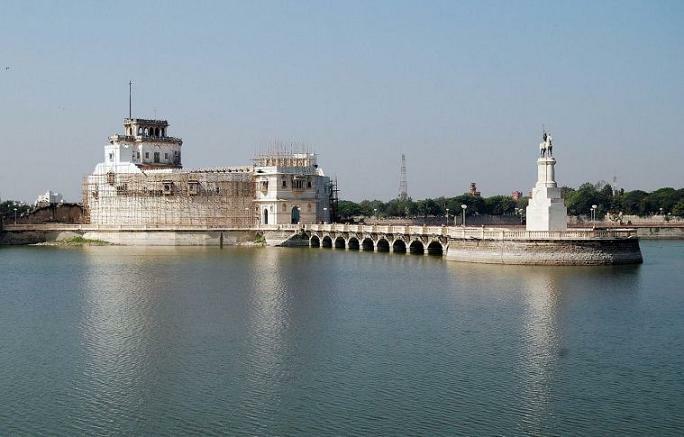 They are also marvels and gems of architecture as they are of Hindu mythology. Your serene experience from the temples and the spiritual spirit of the town will only be complimented be the beaches that city has to offer. Arrive at Rajkot and proceed to Dwarka (150 kms- 4 hours). Visit Dwarkadheesh Temple in the evening. Dwarkadheesh Temple is one of the most significant and visited Lord Krishna Temples in India. Overnight at Hotel. Early morning visit Okha for the Bhet Dwarka. Bhet Dwarka is an island accessible over a short boat ride where a prominent Lord Krishna Temple is located. Upon return visit Nageshwar Mahadev Temple enroute. Nageshwar temple is believed to be one of the 12 Jyotirlinga Temples. Travel to Sasan Gir (240 kms- 4.5 hours), abode of Asiatic Lions and considered excellent for bird watching. The park checklist has 250 birds and about 50 other species. Reach Sasan Gir by evening. Overnight at Hotel. After breakfast proceed to Diu Via Somnath (Jyotirlinga Shiva Temple and a renowned pilgrimage destination offering excellent views of the Arabian Sea). Diu, an erstwhile Portuguese Colony and now a popular beach getaway. Evening visit to the Nagoa beach. Overnight at Hotel. After breakfast ravel to Bhavnagar (225 kms) and depart for onward Journey.